2018: Will It Be The Most Productive Year Of My Life? The Lunar (Chinese) New Year begins today, the 16th February 2018. It isn’t a significant year for me in any way – just the year I’ve chosen to stop all the ‘fluffing around’ and get serious about being more productive. And what better way to start than having at least one goal ready to coincide with the Lunar New Year. After all, it’s about new beginnings, isn’t it? 2018; Will It Be The Most Productive Year Of My Life? Just to sort things out a little for you, I’m referring to the era that I call ‘Post-Career’, herein referred to as PC Time. When I looked back on most of my career years, I could identify at least a few achievements that were significant for that particular year. Since I retired in April 2016, there haven’t been too many significant achievements looking back at me from the rearview mirror of end-of-year reflections. So here I am, with 2018 looming large around me. The urgency is in the fact that we are more than half-way through February and I still haven’t committed any plans to paper – digitally speaking of course (does anyone still use paper?) – until now. Barely a day goes by that isn’t filled with distractions – so I have to devise a plan for how to ignore them. That isn’t as easy as it might sound, since some of those distractions are mighty interesting. One of the significant distractions in my life is the location of my home. My humble abode is nestled amongst twenty-eight acres of natural bushland. As any Aussie knows, bushland means birds. Not the Alfred Hitchcock variety (that’s another story! ), but the beautiful kookaburras and magpies that gently sing me awake in the morning and signal the close of day in the evening. If I could just be satisfied with hearing them while I work, it wouldn’t be a problem. 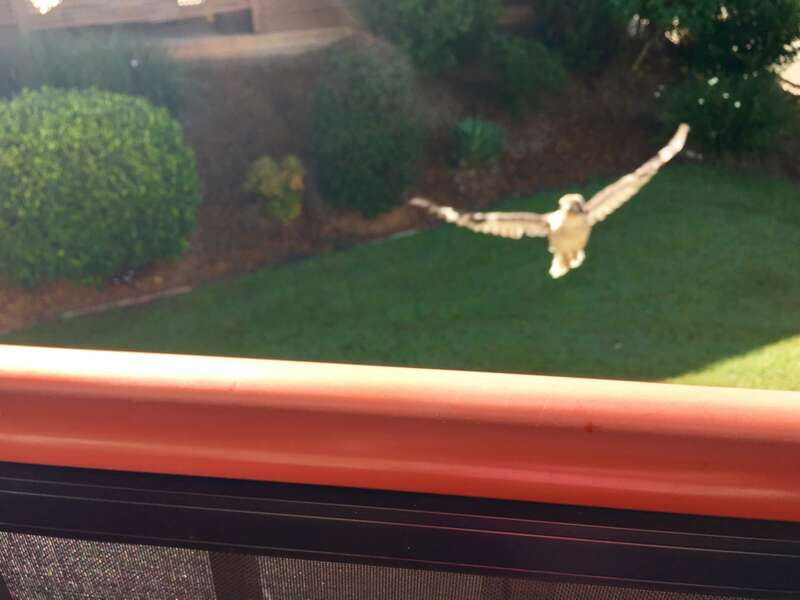 The problem stems from the hours spent, camera in hand, waiting for the perfect photo of a kookaburra in flight. And The Justification For The Distraction? I’m always intrigued by the ingenious reasons we use to justify the things we do, regardless of whether they are ‘right’ or not. 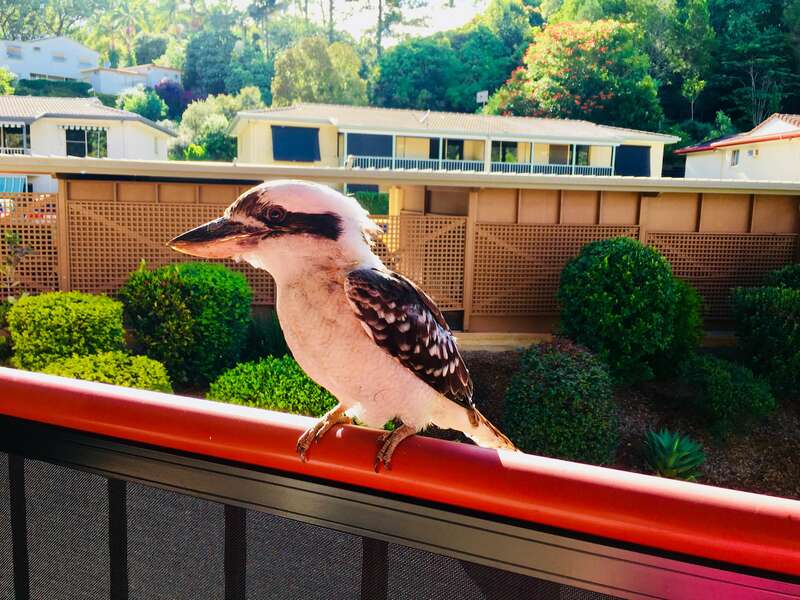 I justify my bird-watching activities by assuring myself that one day, that photo of a kookaburra in flight, will be the perfect addition to something I’m writing. It might be years before that happens, but I’m convinced it will. That could be a problem before I even begin. In PC Time, there is no set waking hour. Don’t get me wrong, I still rise at an acceptable time, for a retiree. But now I have the option of not rising, if I don’t want to. While the magpies and kookaburras sing me awake most days, there are times when I let their melodic calls sing me back to sleep. How will Goal Number One be impacted when I roll over and pretend I haven’t heard the day starting? Will it be lunchtime by the time I’ve finished my hour (or two) of writing? The answers to these questions will depend on what events are vying for my time on any given day in my usually, almost empty, Post-Career diary. While most days roll in and out with nothing more than writing, taking photos, eating and/or socialising, on the agenda, some days are different. Sometimes there’s a 9am meeting scheduled, or an early morning coffee at ReCafeNate with my name on it. Perhaps we fail to meet our goals because they are not quite as realistic as they could be. Nothing happens until I’ve had my coffee, so the hour immediately following my opening-eyes experience, has to involve coffee. When I’ve had the coffee, then I can do the writing. And here’s where a bit of creativity could help. I usually brew my Espresso coffee at home. But sometimes I saunter across the road to ReCafeNate for the pampered feeling of having Josh make the coffee for me. If I took my iPad with me, I could make the coffee last an hour while I write. If I’m really getting into the writing, a second cup of coffee would see me through the second hour. And I could check off my exercise for the day as well. While it isn’t a long walk to ReCafeNate, it is uphill. Theoretically, the first goal of the ‘2018: most productive year ever’, is to focus on the writing. Instead of having thousands – yes, you read that right – thousands of photos that I might (or not) ever use, by getting thousands of words written, then I can focus on the specific photos that I need to highlight the text. Besides, I might even get lucky and put the already thousands of photos I have to good use, before I take any more. Well, that’s the plan – I just hope I can stick to it. I’ll keep you posted on my progress….